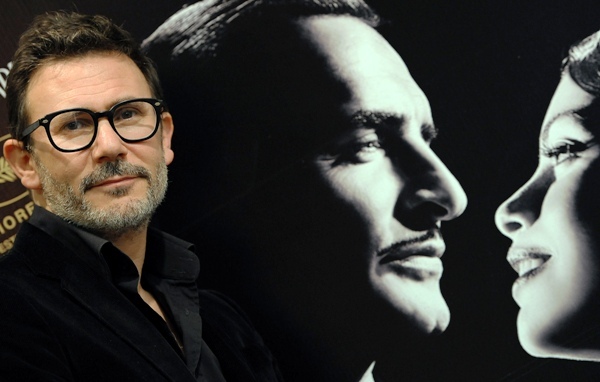 • Michel Hazanavicius is the screenwriter and director of The Artist. He has been married to Berenice Bejo for several years. 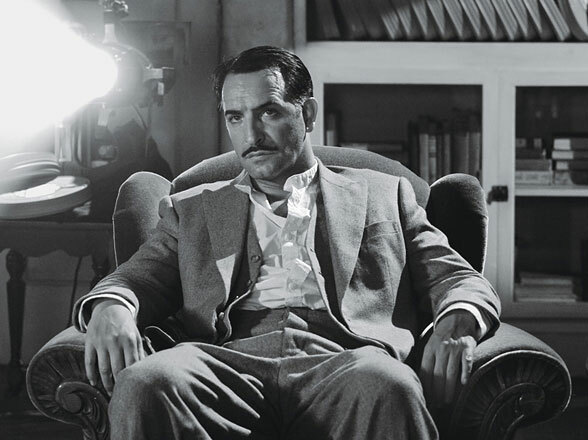 • The Artist features Berenice Bejo as Peppy Miller, Jean Dujardin as George Valentin, and Penelope Ann Miller as George's wife Doris. • According to Hazanavicius, "The character George Valentin is my fantasy about Jean, and Peppy is my fantasy about Bérénice. It's the way I see them." He's also hinted that George Valentin was partially based on John Gilbert, a silent film star who once rivaled Rudolph Valentino as the silver screen's "great lover" but whose career was imperiled during the onset of the talkies. • For much of The Artist, George Valentin is a fallen-film-idol-turned-filmmaker who believes himself deserving of more success than he has recently achieved. In that way at least, George is a reasonable stand-in for Michel Hazanavicius himself, a filmmaker of moderate success prior to the release of The Artist. 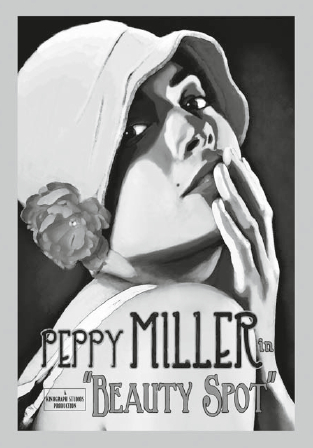 • Berenice Bejo's character in The Artist is named Peppy Miller. Peppy Miller ascends to become a hugely popular movie star after having been accidentally discovered by George Valentin. • In The Artist, George Valentin—the film's stand-in for director Hazanavicius—sees the crumbling of his relationship with Doris, played by Penelope Ann Miller, which puts George on the path toward a closer relationship with Peppy Miller, the film's stand-in for Berenice Bejo. 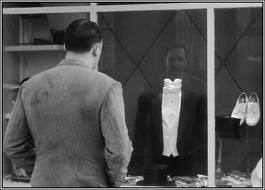 • Thinking about all the above, doesn't it seem true that Michel Hazanavicius based George Valentin on Jean Dujardin somewhat and a bit on John Gilbert...but just as much on himself? 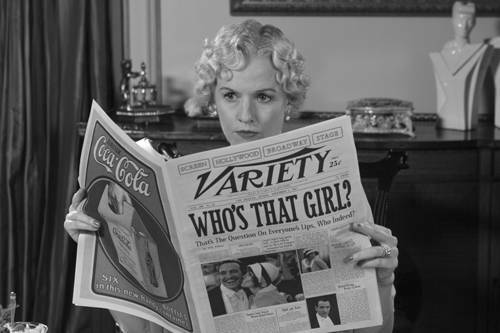 • And isn't just odd and confusing that Hazanavicius named his wife's character Peppy Miller, which sounds so much like just a shorter version of "Penelope Ann Miller"? I can't be the only one who found this weird and distracting, can I? Maybe I am the only one who noticed. Either way, here are some facts and observations about The Artist that pretty much just add to the richness of thought I’ve had around the Peppy Miller/Penelope Ann Miller thing and the movie in general. These things just occur to me and are interesting in this context. • People have seen Penelope Ann Miller as a silent star before. In 1992, Penelope Ann Miller appeared in Chaplin, Richard Attenborough's biopic about Charlie Chaplin, greatest of all silent film stars. Miller portrayed Edna Purviance, a leading lady in many of Charlie Chaplin's most famous silent movies. 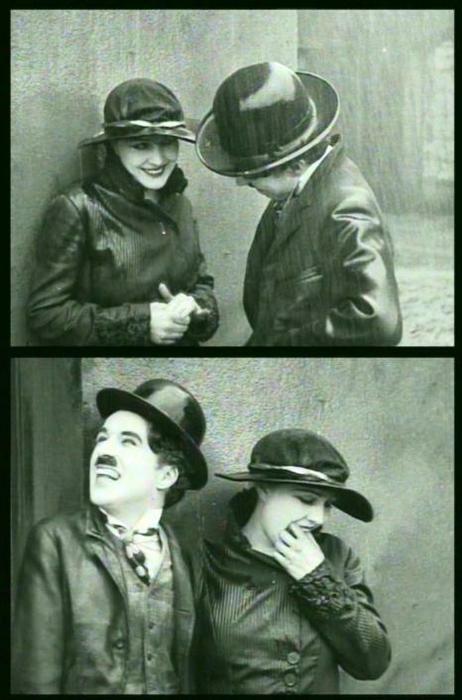 • Charlie Chaplin discovered Edna Purviance sort of by accident, through a friend of a friend. According to one story, Chaplin claimed to a roomful of people that he could hypnotize anyone. He asked Edna to "Fake it," and so she did, just for a laugh, which impressed Charlie. Purviance and Chaplin were romantically involved during Chaplin's ascendancy toward becoming the world's most beloved movie star. He even considered marrying Edna. 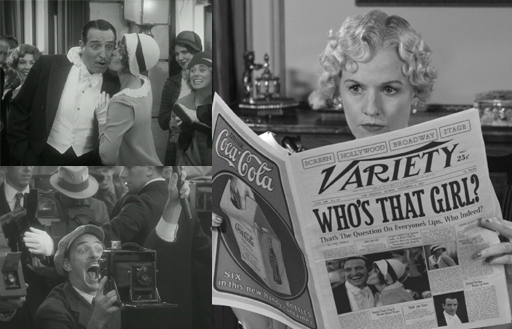 • While writing his silent movie, Michel Hazanavicius used the working title Beauty Spot, based on the distinguishing mark that George Valentin places on Peppy Miller's face—the "something different" that he says she needs to set her apart, to make her a star. Thomas Langmann, the film's producer, insisted on changing the film's title to The Artist. That title puzzled me, I mean, who's "The Artist" in this? George? He's an actor and a bad director, not much of an "artist." Maybe the dog's the artist.... Anyhow, leave it to a producer to saddle a movie—even one mostly about what sets a star apart—with a generic title that barely sets it apart from anything and barely even makes any sense in the first place. Beauty Spot, on the other hand, made so much sense, the film paid homage to its own original title with the poster above, which appears in the film right about when Peppy Miller reaches the height of her stardom. 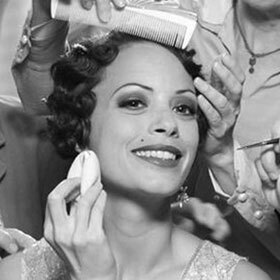 In 1930, Doris Dawson starred in a 21-minute musical called The Beauty Spot. 1930 was still pretty darn early for musicals, and some of The Artist takes place in that year too. I haven't been able to turn up any other info about the movie, beyond its IMDB page. I wonder what it's about, don't you? I also have to wonder if Michel Hazanavicius saw the same IMDB page while writing his script for Beauty Spot.